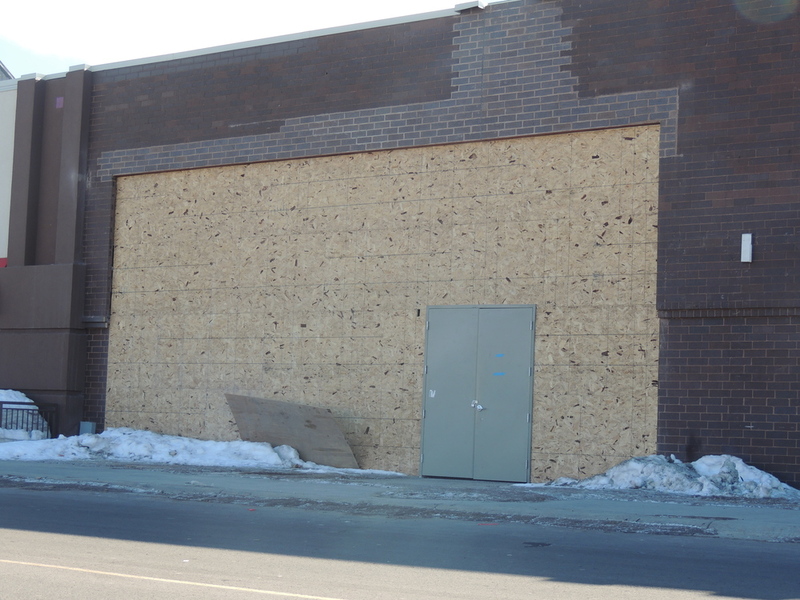 Current state of Duluth's first Chipotle Mexican Grill location. It's the headline no burrito lover ever wants to see... especially those die hard Chipotle fans. We're sorry we have to bring you the news, but hey... at least we have an update! You've probably noticed that Chipotle's original goal of opening in March 2014 is slowly passing by... unless they plan to open in the next four days. But then again, if you've been by the construction site (or seen the picture above) you'd see that that would be impossible. So what exactly happened? They started construction on the site. They were working hard with lots of workers on site. They managed to cut a big hole in the front of the space... and then all of the sudden construction stopped. Well, unfortunately we don't have details for you on that. It was hard enough getting a hold of the officials at Chipotle's headquarters. No joke...it literally took us weeks. Here's what we found out from a very nice representative named James about the Duluth location. In short and simple terms... he says that he "can't comment on the reason for the delay" but hopes that all of you Duluthians won't mind waiting a few months more for your burritos. Bitter... but sweet... we guess. There's a few things that could have gone wrong. First off, there could be a company issue that caused them to stop construction. We know that a few other Chipotle locations that were under construction and set to open in a similar time frame were also postponed in opening. It could be a coincidence... or it could be something larger. The second issue that could have arisen is that there could have been issues regarding their lease with the mall. That is probably the most unlikely however being they had already started construction on the space. Lastly... it could just be basic construction issues. Sometimes parts get backordered or issues are discovered when construction officially starts. Bottom line is... Duluth is still getting a Chipotle. No reason to freak or shed those burrito wanting tears. So when you be able to get that delicious Chipotle burrito (with the guac of course) that we have been telling you you would be able to get for close to six months now... Chipotle hopes to open their new location at the Miller Hill Mall by Mid-June.